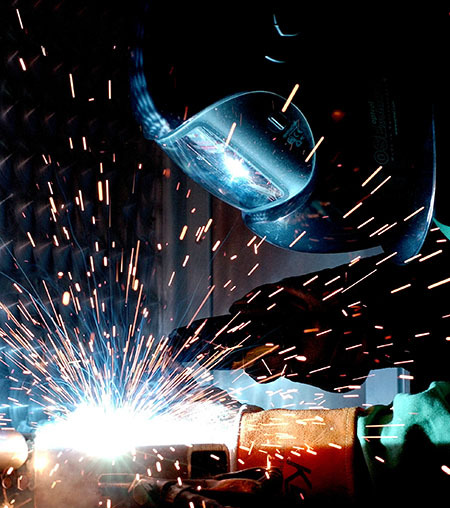 RiverCity offers MIG and TG welding on carbon steel, stainless steel, and aluminum. Thicknesses range from thin gauge material up to 1.5″ plate. RiverCity carriers welding certifications on a variety of procedures and material. We can also have custom WPS (Welding Procedure Specifications) written and our staff certified for any project. We offer welding from small telecom brackets or enclosures, to medium sized tubular furniture projects or farm and ranch projects, up to large generator skids and stainless steel platforms for the food industry. Our Staff and experience allow us to be as flexible as the customer requires.